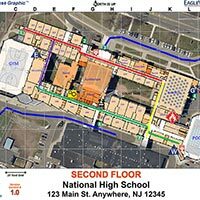 Products – Critical Response Group, Inc.
Collaborative Response Graphics® (CRGs®) are simple visual communication and collaboration tools, useable under stress, to coordinate emergency response both outside and inside a building. CRGs enhance response time and improve command and control during an incident. GXP OpsView allows first responders to access the CRGs in their response area through a smart device. GXP OpsView allows first responders to be tracked on top of the CRG and share their positions with other first responders to enhance command and control in an emergency. 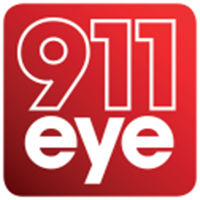 911eye enables a caller with a smartphone to stream live video footage, audio, and GPS coordinates to a Communication Center. This allows dispatchers to make informed decisions on mobilizing the correct resources and provides invaluable information to initial first responders. Critical Response Group facilitates HSEEP-compliant emergency response exercises; creates customized policies and training programs related to safety and security for public and private institutions; and provides security management programs for public and private facilities. Image copyright © 2018 Pictometry International Corp. All rights reserved.